Compassion ministries have always been a hallmark of Christianity. Jesus told His initial followers to feed the hungry, house the homeless, clothe the naked, and visit those who were imprisoned and those who were ill (Matthew 25:34-40). Successive generations of Christians have built upon the foundation of our Lord’s words and His example of selfless service. This post highlights five stories of ministry leaders who championed individual causes for the needy. They became voices for the abolishment of the slave trade, for prison reform, for rescuing drug addicts, and for providing for the poor. There was a day in each of their lives when they crossed a line of no return in their commitment to compassion. Human beings taken against their will. Parliament. Following his spiritual conversion he visited former slave trader turned Christian pastor, John Newton. Mr. Newton helped the young politician see his position as a role God could use. Further prayer led William to establish a mission statement for his life. He followed that course, committed to using his status for causes that honored Jesus Christ. While crusading for improvements in society, William gave a quarter of his yearly income to the causes he espoused. His greatest campaign was a lifelong fight to abolish England’s slave trade. Annually, William proposed anti-slavery bills to Parliament. His hard-fought, decades-long battle ended in the passing of the Emancipation Act a week before his death. Read more about William’s Christian compassion for society’s needs at https://lights4god.wordpress.com/2012/08/24/william-wilberforce/. Prisoners didn’t always have rights. 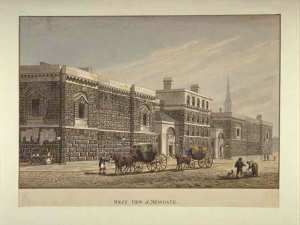 The day Elizabeth Fry–who often visited England’s slums to lend Christian aid–stopped at Newgate Prison, she was appalled. The squalid conditions, especially for women prisoners, needed changed. What drove Elizabeth? Right after her conversion at age 17, she exchanged her bright, fancy clothes for simpler tones and fashion. She forsook her pursuits of pleasure to reach out to the less fortunate. Elizabeth enlisted a team of Christian women to help her at Newgate. While a volunteer read the Bible to prisoners, Elizabeth taught them social skills, including knitting and sewing. Elizabeth’s acts of service transformed the women. Prison officials took note. They initiated further improvements. Other countries invited Elizabeth to address the need for prison reform within their borders. You can learn more about Elizabeth’s Christian service at https://lights4god.wordpress.com/2012/05/21/elizabeth-fry/. Image courtesy of Salvation Army USA. Unlike William Wilberforce, William Booth was born into poverty. He eventually met Catherine Mumford and they married in 1855. Ten years later, the Booths moved to East London to serve the poor. Together, they raised up an army of Christians who compassionately reached the needy. They initially met resistance both outside and inside the church. But they prayed and persisted. With a Biblical military theme, William and Catherine’s work made great advances. The Salvation Army combined preaching changed lives through Jesus Christ and meeting people’s practical needs. They opened soup kitchens and hostels. They provided job skill training and campaigned against social ills like teenage prostitution. Their vision which has grown to meet other social needs thrives today. 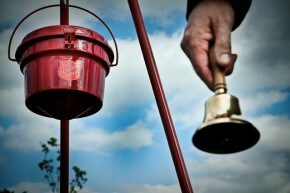 To read a fuller account of the Salvation Army, visit https://lights4god.wordpress.com/2013/04/10/william-booth/. In the late 1950s, a story in Life magazine about gang violence moved a young pastor to travel to New York. What David Wilkerson saw and experienced there gripped his heart. Prayer led him to resign his church and move to The Big City. He began a ministry to the young men and women controlled by drug addiction. David opened a center in Brooklyn under the title Teen Challenge. Successes led to churches wanting to support the work. Centers opened in other states. In the early 1970s, the headquarters moved to Texas. Then, during a ministry visit to New York in 1986, David saw the need to return to relocate to New York. He opened Times Square Church in Manhattan, reaching out to those on the street and discipling converts. David didn’t feel compelled to go to New York just because of a magazine article. It was during one of his prayer times he’d set aside to call on God for guidance. His real turning point was when he instituted those times of prayer in place of time he felt he’d been wasting sitting in front of the television. Find further details about David Wilkerson and Teen Challenge here: https://lights4god.wordpress.com/2012/05/19/david-wilkerson/. Habitat for Humanity at Fremont Fair 2207. Millard experienced the thrill of becoming a millionaire by age 30. But his wealth meant nothing when his wife, Linda, threatened to leave him. Millard returned to faith and they reconciled. When he told Linda he thought they should give their wealth away, she agreed. In 1976, they started a ministry to provide affordable housing that they called Habitat for Humanity. The organization set a goal: Build one million homes for the needy. It met that goal in 2005. After leading Habitat for Humanity for 29 years, Millard resigned to form a new ministry. He headed the Fuller Center for Housing until his death in 2009. Millard learned that life is not about gaining wealth, that an important part of a Jesus-minded life includes using the resources God gives you to represent Jesus to those in need. To learn more about Millard’s life and ministry philosophy, connect here: https://lights4god.wordpress.com/2012/01/03/millard-fuller-2/. This entry was posted in Social change agent, Uncategorized. Bookmark the permalink.